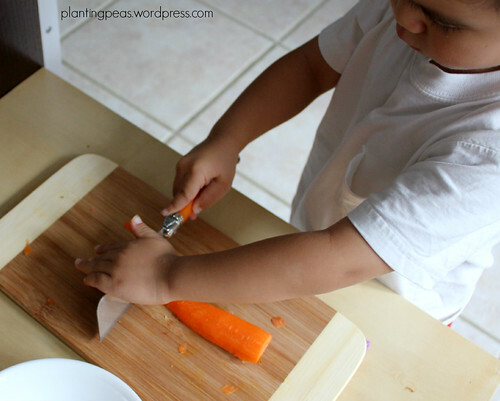 Our cooking journey continues — this time with carrots! I got Z a small-sized peeler and it works great for him. The grip is just perfect and he can control it well. 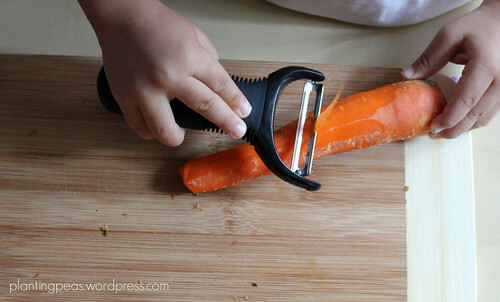 First I cut the carrot in half horizontally so that it would lay flat on the chopping board instead of wiggling around. Once again, I showed him not to touch the blade for it would cut and hurt us. After a demonstration, I let him try peeling while I supervised. I was pleasantly surprised how well he does it. 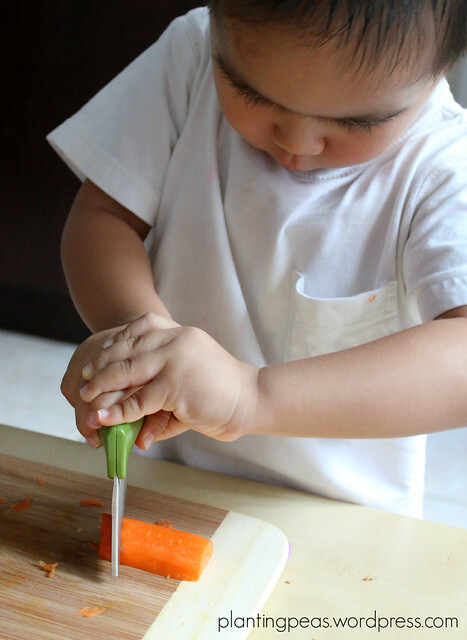 The only thing I observed was that he tended to start too close to his fingers that were gripping the carrot. Perhaps the next time I will somehow draw a line on the carrot so he knows where to start peeling so he won’t accidentally peel his own skin. There’s an orange bowl next to the chopping board for him to put all the carrot peel. 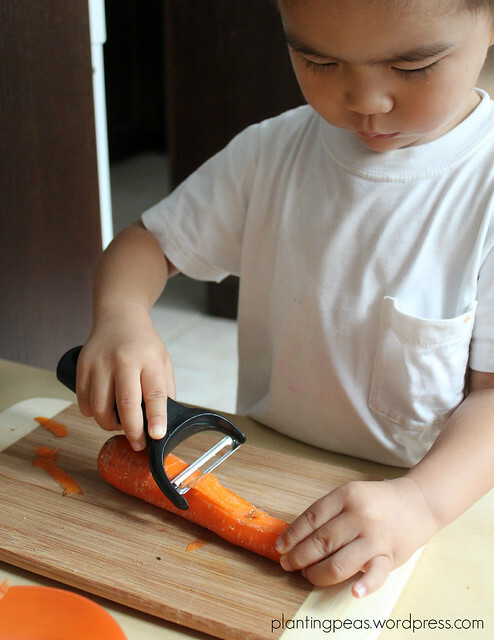 After peeling, we worked on cutting the carrot. I found a small cheese cleaver from this set and thought we might give it a try. To be honest, I didn’t think it will work that well simply because his hand muscles aren’t strong enough yet, but I wanted to observe. I was right. It wasn’t working, so we swapped out for the knife that works better for him now. Steam it up, glaze it with some honey, and serve as a healthy snack!